Flash websites have the cool factor. Their interactive and eye catching animations make you want the same thing for your site. A Flash website is fun and interactive, but is it really the best choice for your company? Building a website in Flash may cost you in the long run. We aren’t saying that Flash is bad. In fact, there are plenty of reasons why using Flash on a website makes perfect sense, but creating an entire website using Flash can be detrimental to your business. Below discuses why many companies are moving away from Flash based websites and why you might want to consider it yourself. 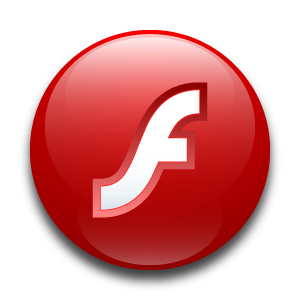 A browser plugin is required in order to play Flash animations. Some users may elect to not install the Flash plugin, or may have a firewall set that would prevent them from doing so. If your entire website is built using Flash, those people will not be able to access your site. Another thing to consider is the increased use of mobile devices with internet capability. Flash websites do not display well on phones, so designing an entire site with Flash would eliminate the ability for people to access your site through their phone. Organic search engine optimization relies heavily on the text content and HTML code of a website, something that a site done entirely in Flash will not have. SEO spiders are blind to Flash sites. Without HTML content, search engine spiders will pass over your website without indexing it. Since Flash websites are so unique, it can cost significantly more to build a Flash site vs. one that is HTML based. Flash websites are also much harder to maintain. Simple changes to text or links on a Flash site have to be done by a programmer, which takes more time and costs more money. As said before, Flash has its place on the web, but using it for your company’s website could cost you in the long run. What are your thoughts about using Flash?